The goal of general dentistry is to help you preserve your natural teeth for a lifetime and keep your mouth as healthy as possible. 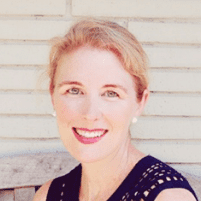 Kelly Halverson DDS, FAGD, is a general and biological dentist who takes a whole-person approach to oral health for patients of all ages in Richardson, Texas, and the surrounding communities. If you would like a general dentist who practices a comprehensive philosophy for oral health and overall wellness for your entire family, schedule an appointment online or call the office, today. A general dentist provides preventive, nonsurgical, and surgical treatment for your teeth, mouth, and gums. General dentists like Dr. Halverson diagnose and treat a wide variety of conditions, disorders, and oral diseases, like cavities and gingivitis. Additionally, Dr. Halverson’s holistic approach to general dentistry also helps you make the connection between your oral health and overall health. For example, she helps you understand how the foods you eat and your lifestyle contribute to the condition of your teeth and the other systems in your body. How often should I visit a general dentist? Typically, if you have a healthy mouth, you should visit your general dentist every six months for preventive care. At these checkups, you undergo a professional cleaning and a thorough exam of your teeth and gums. Visiting the dentist for regularly scheduled checkups allows Dr. Halverson and her team to detect any changes to your oral health before they become major dental issues. Think of your general dentist as a primary care physician for your mouth. Based on your individual needs, Dr. Halverson develops a customized dental hygiene plan that helps you keep your teeth healthy between dental appointments, too. What types of services does a general dentist perform? You can also come to Dr. Halverson’s office if you experience oral trauma such as losing a tooth during an accident or injury. Dr. Halverson can help you and your family members with nutritional counseling, advice for quitting smoking, and recommendations for improving your overall health and wellness, too. How can I keep my teeth healthy between dental visits? Between visits to your general dentist, it’s important to practice a good, daily oral hygiene routine. Brush your teeth at least twice a day with a soft toothbrush and floss between your teeth to remove debris at least once a day. Develop healthy eating habits so you avoid sugary, sticky foods and sugary, carbonated beverages. Dr. Halverson and her dental team advise you regarding other ways to keep your mouth healthy so you have a positive experience at every checkup. To take the first step toward your best oral health, call the office to schedule an appointment or use the convenient online booking system.